Holidays are riddled with tradition. Some use special china. Other families make certain family food. Very few though, travel. 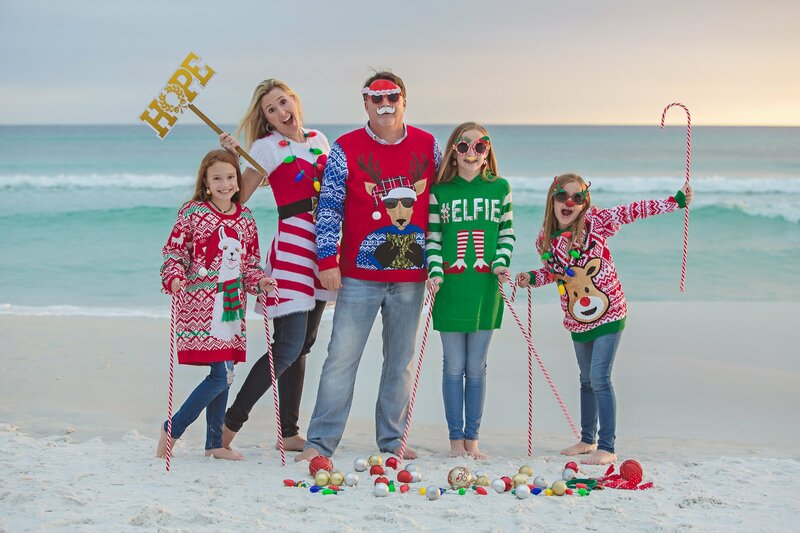 Yet, it’s just what The Hayes Family does every year. 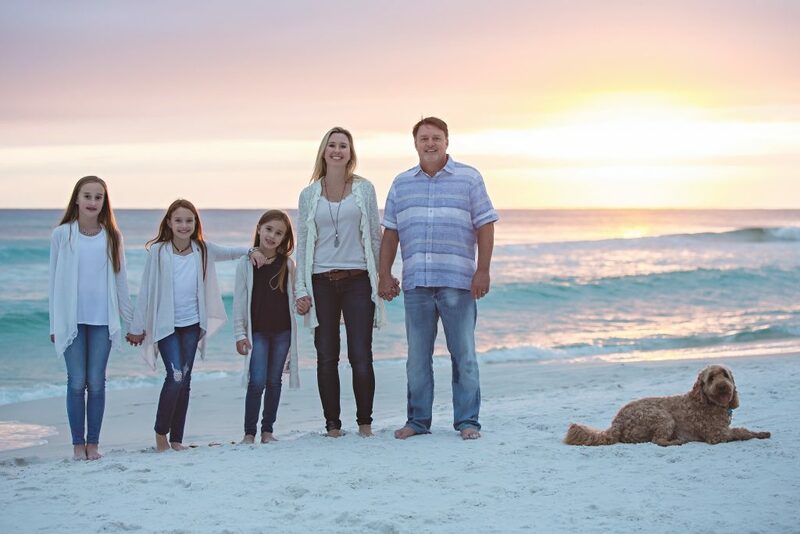 They have made Destin their annual family tradition at Thanksgiving. 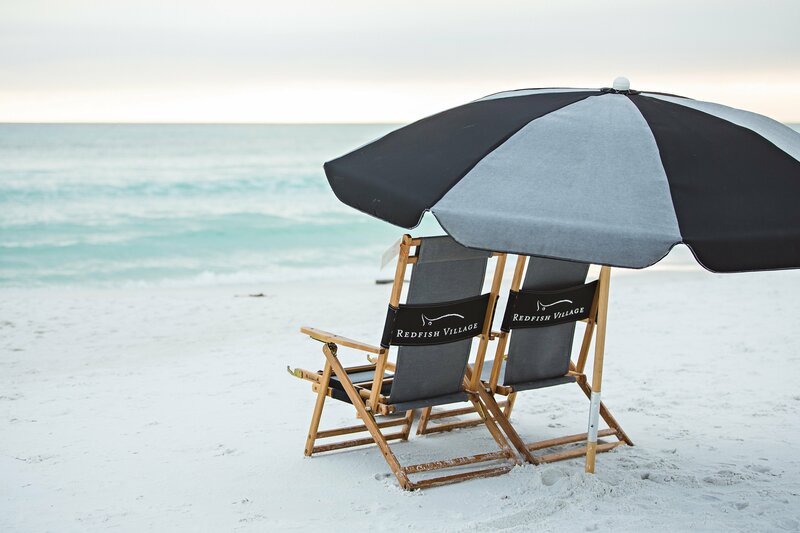 Most people are familiar with the ever-so-popular Destin; providing tourists with fun-filled entertainment. 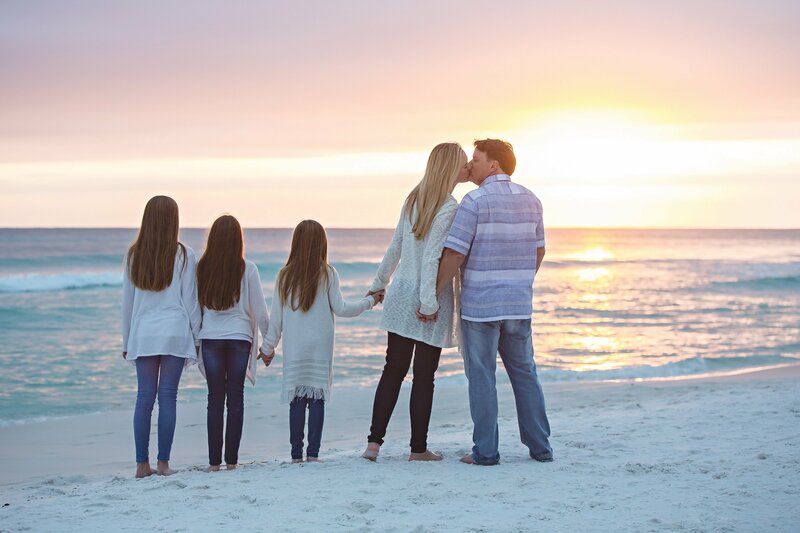 Go a little further in though, tucked away, you can find Blue Mountain beach near Redfish Village in the town of Santa Rosa Beach. A quaint, private beach without the price tag. Perfectly secluded for family memories to be created and captured. It offers miles of white sand beach, along with beautiful sunsets. 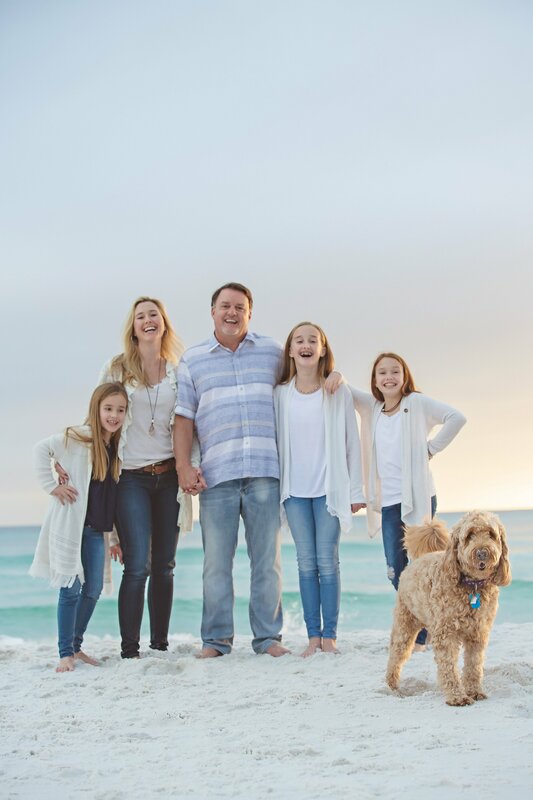 Blue Mountain Beach is a great alternative to Grayton Beach, another common area for photo sessions. 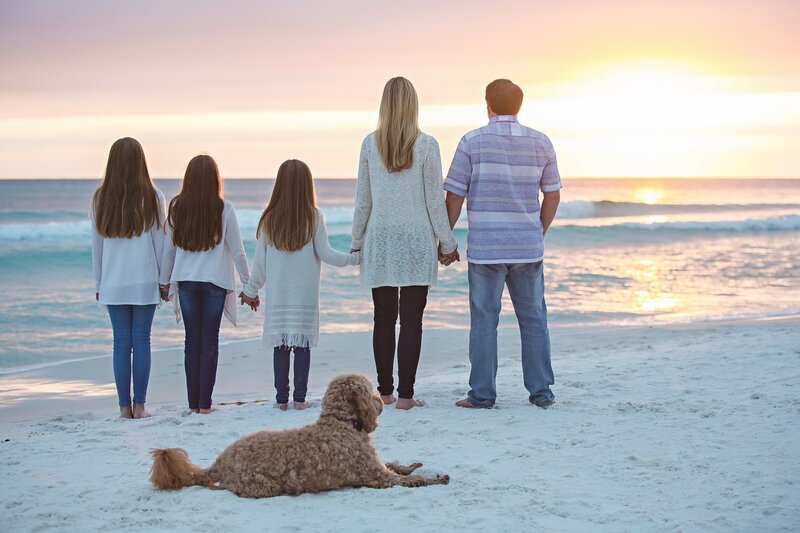 Blue Mountain Beach offers more than just a beautiful backdrop to capturing memories. It offers a practical element as well, having its own parking lot and restrooms. Both of these amenities made the clothing changes easy-peasy. 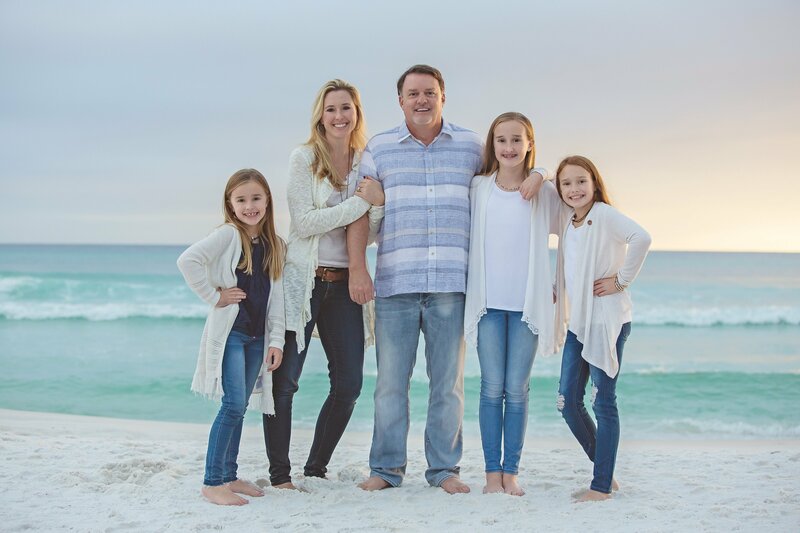 Adding The Hayes Family to this setting was the icing on the cake. 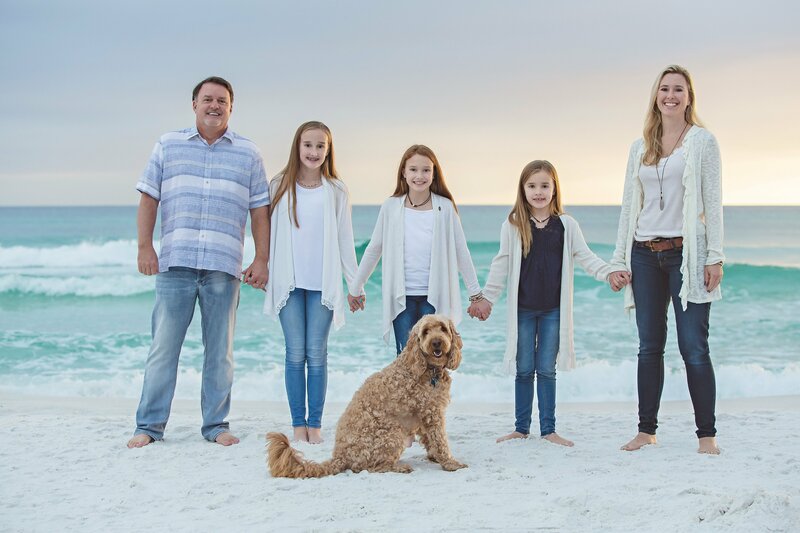 In this shoot, it was evident that this family of six genuinely enjoys being together (seven, if you count the family dog). 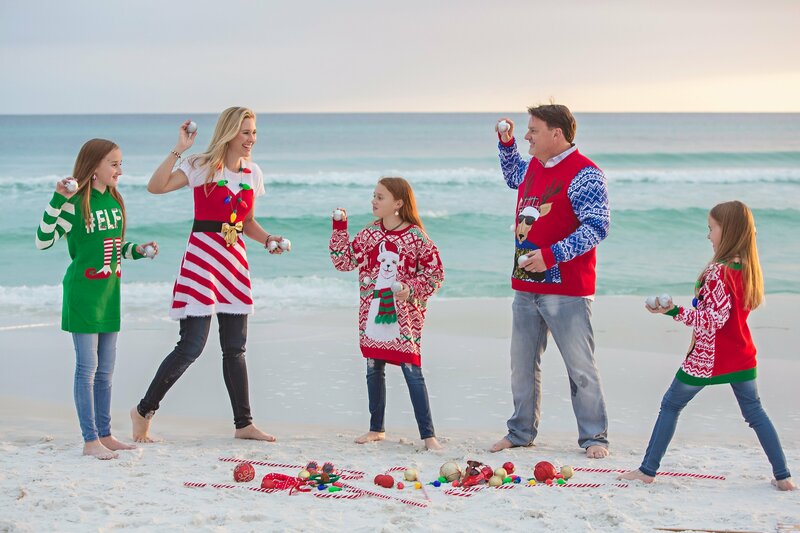 They all share a sense of adventure and when you see how they interpreted a snowball fight…well, their silliness and sense of fashion (uh-hem) is contagious. 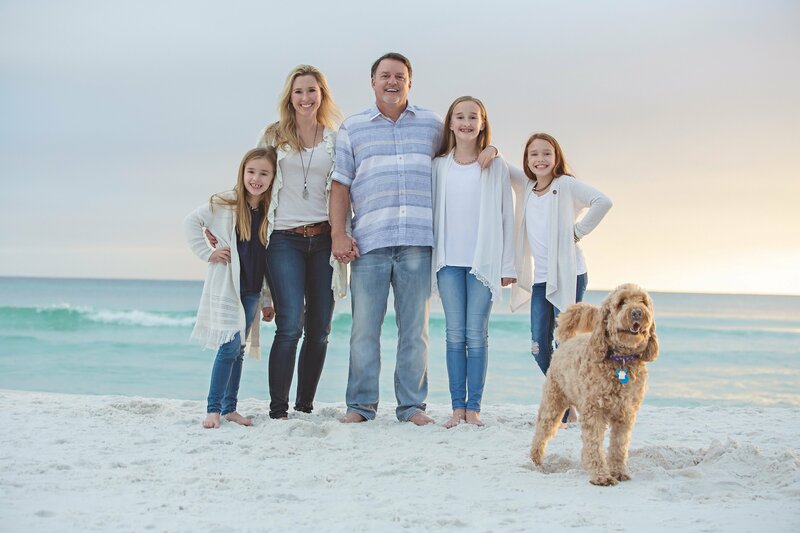 While Jay, a doting husband, and loving father, making him the only male in their clan of A-names, he brings his A-game in adoring all of his girls. The mutual love in return towards him is clear in each image. 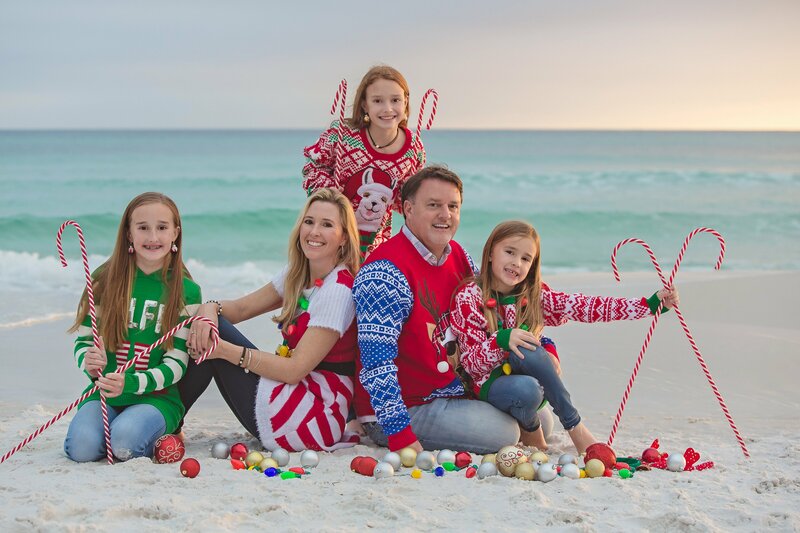 I have no doubt that The Hayes Family will win best Christmas card for 2017. They came to the table with so many great ideas, we narrowed it down to just a few. 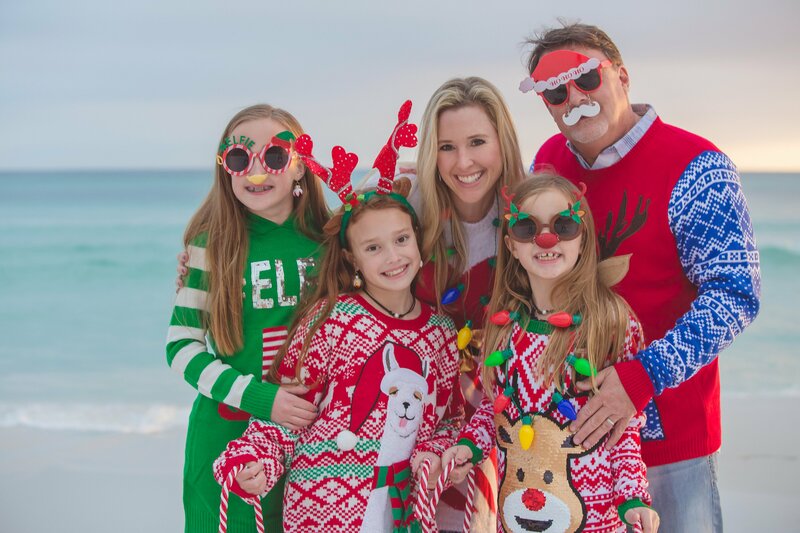 The crazy Christmas sweaters (all their idea – feel free to borrow their creative idea), the Christmas Ornament snowball fight (pretty sure the Goldendoodle won that one) and the fantastic holiday props took this session to a whole new level. Who doesn’t love a costume change?? 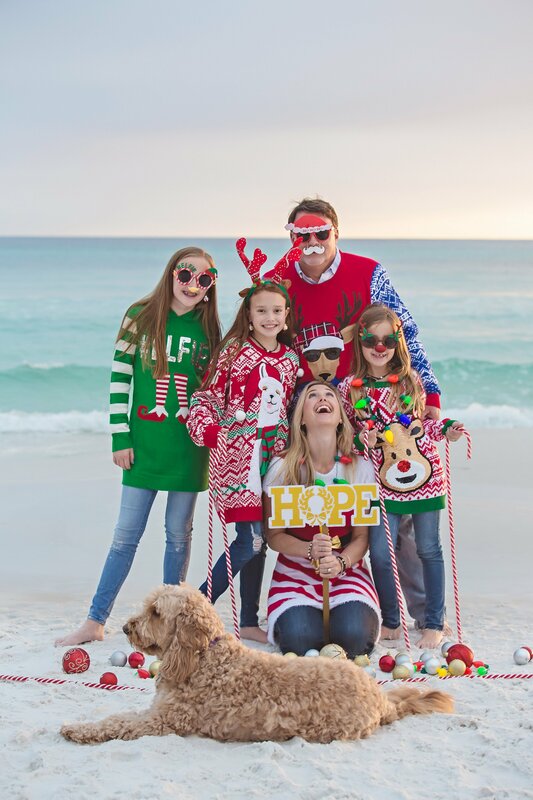 The Hayes get their beautiful family portraits AND Christmas card all in one! 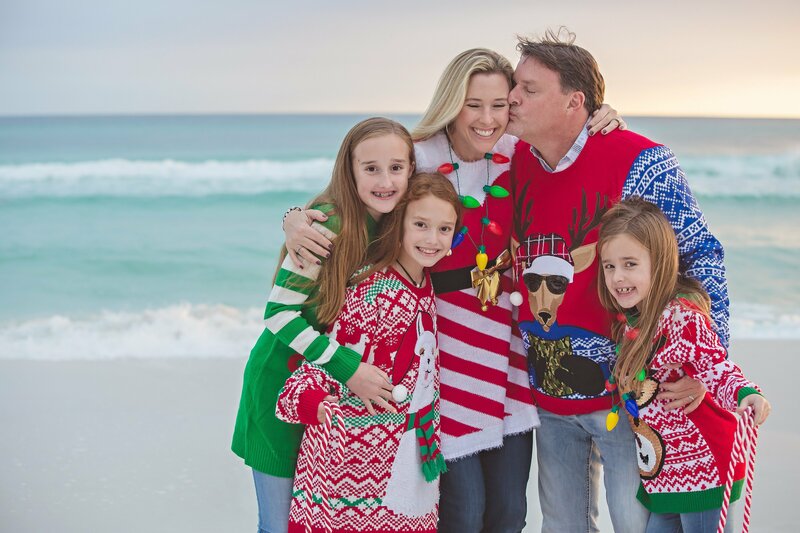 (who says you have to wait until October or November to capture Christmas…?) 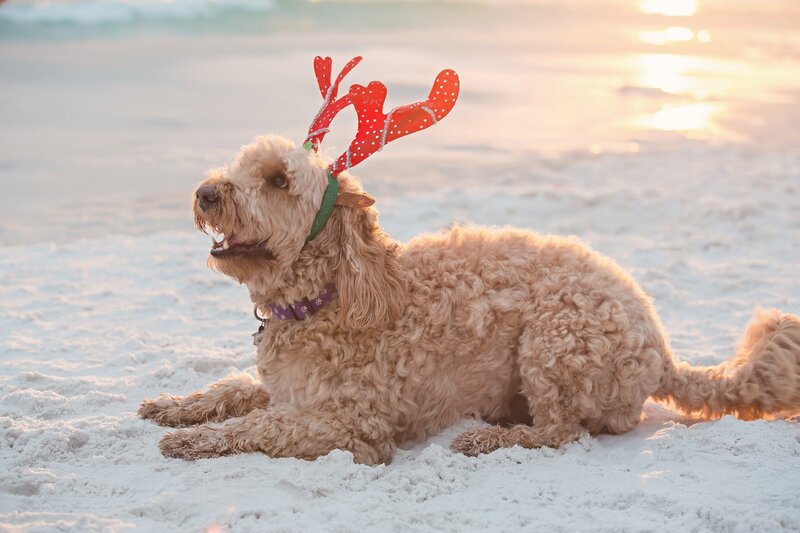 Even their Goldendoodle got in on the fun! He sported his own antlers for a few shots. What I loved most about The Hayes is their ability to convey the love they share with each other. 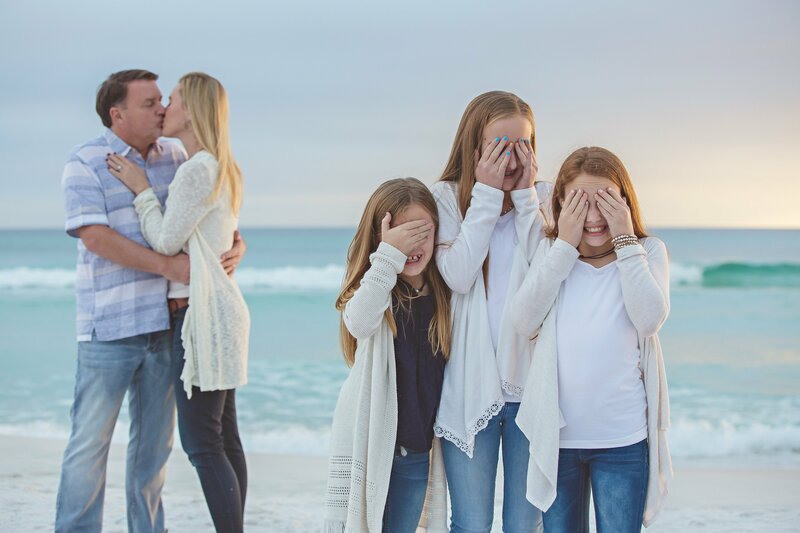 Yet, in the next few frames, they are having fun and embracing an unguarded connection as a family. They do not take themselves too seriously, which is refreshing in this day and age. See for yourself. 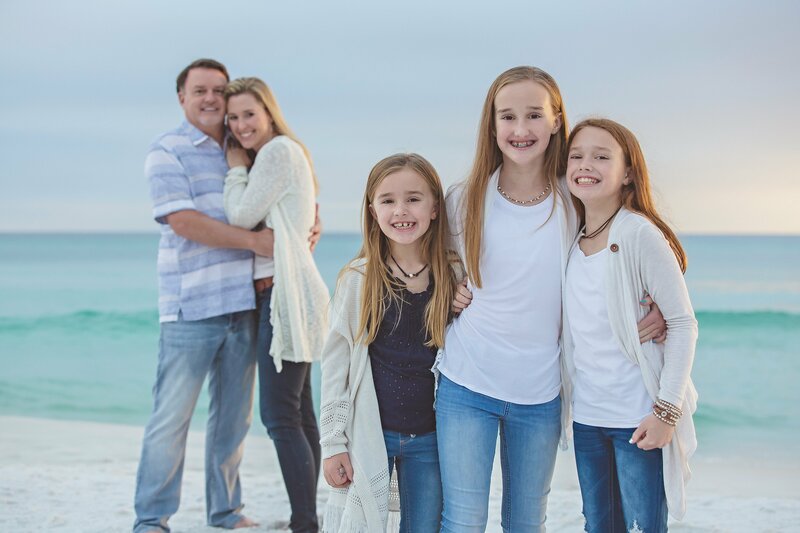 I look forward to future sessions, watching these girls grow. 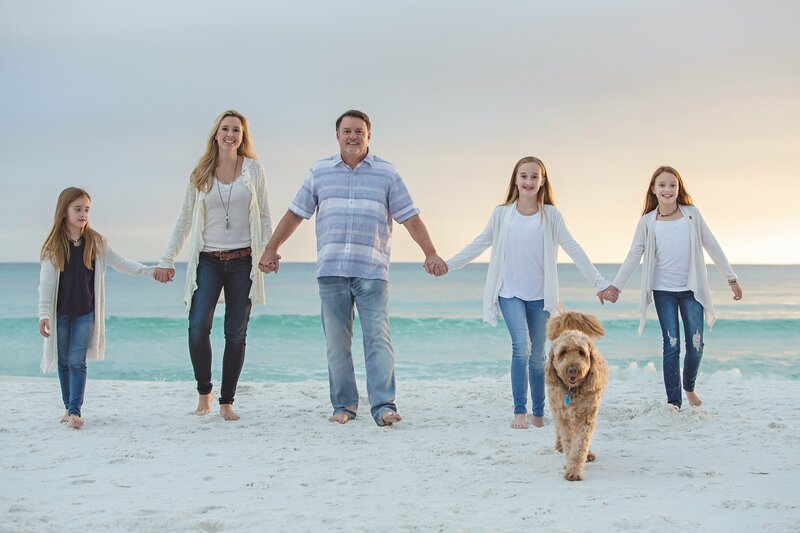 I’d love to talk to you about photographing your family in Santa Rosa Beach. 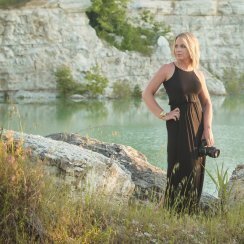 Check out my pricing page to discover details and availability information. 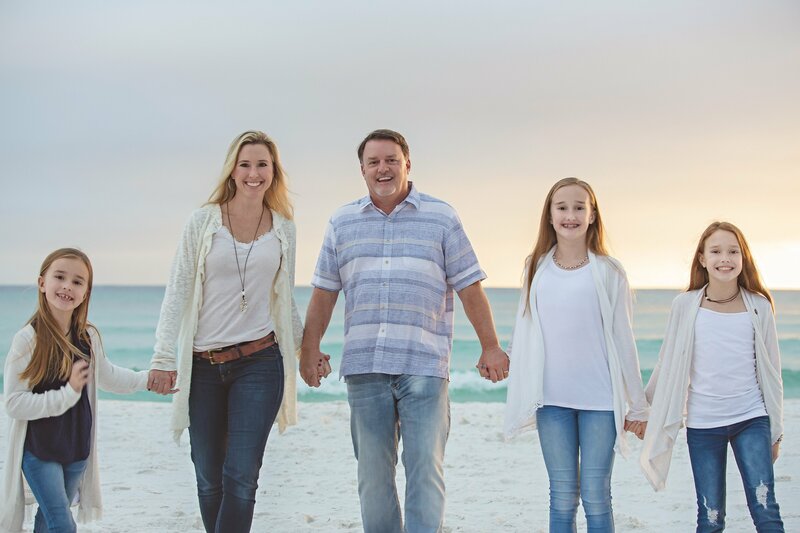 To learn more about me, Alyssa, take a look at my about page.